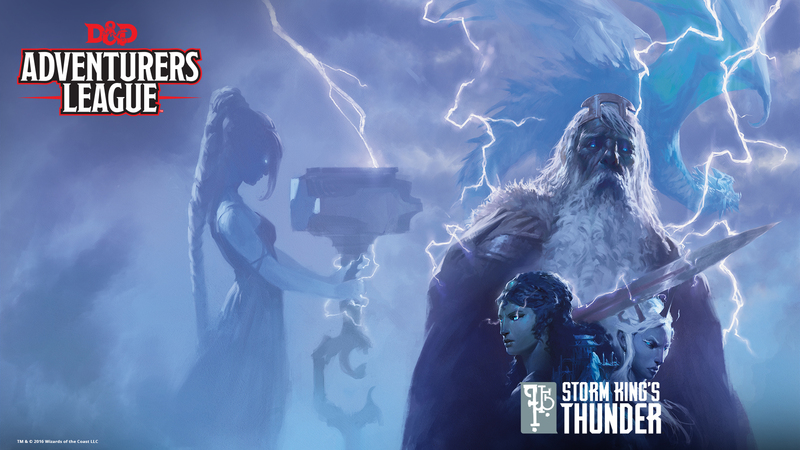 Join us to play “A Great Upheaval”, the introductory adventure for Storm King’s Thunder, the newest Dungeons and Dragons adventure. A Great Upheaval is designed to take a party of characters from 1st level through 5th level. This is an Adventurer’s League legal event, so players should bring an AL-legal character of 1st level. If you need help creating a character or would like to start with a pre-generated character, please try to arrive an hour prior to the adventure start. This is a FREE event. Play will begin at Noon on Saturday. Depending on how things flow, we may need to reconvene on Sunday to conclude the adventure.